Home safes are a great way to protect your most prized possessions, whether their value is financial or sentimental. A home safe is not only helpful, it is responsible for the care of your material possessions. Once you spend the time to find the home safe that works best for your needs, you may find yourself wondering just how to install the home safe. While there are many services that specialize in home safe installation, Do It Yourself is a going trend throughout the country, so naturally you will want to know if you can install your home safe on your own. Hopefully, you will have a good understanding of which method will be best for you after reading this article. Are All Home Safes the Same? There are many different types of home safes and all of them offer unique installation options. While many home safes come with pre drilled holes, this does not always mean that you should do the installation on your own. Depending on your skill set and lack of equipment, it could be better to hire a professional. 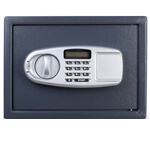 Some home safes actually recommend, sometimes even require, professional installation. It is up to you to read the instructions, recommendations and specifications of your home safe model in detail to determine if you can install it on your own. Will DIY Installation Affect My Insurance? Some home safe insurance policies require that your safe if installed professionally, by a certified company. Be sure to check with your insurance company to determine whether your Do It Yourself project may be canceling out your policy. Home safes are created with a standard of being installed into hard surfaces, so if you cannot guarantee to properly install it, the home safe may not be as secure as possible. Therefore, the insurance companies will not be insuring a home safe at its maximum possible security level. For this reason, it is essential that you check with your policy and insurance company to determine your requirements. What Do I Need To Install a Home Safe Myself? Home safe installation will require a power drill, preferably one with a cord, as they tend to hold a longer charge. Be sure to have several sized bits to guarantee that you can drill through the pre drilled holes. Depending on where the holes are you can decide whether to attach the safe to the floor or a wall. Ideally you want to secure your home safe to a concrete or brick surface. Regardless, you want a solid, flat surface to install your home safe. If your safe comes with pre drilled holes in the bottom, you have the option to attach it to a floor. If your floors are heated, and there is no space clear of the under floor heating devices, it is not recommended to drill your safe to the floor. Should I Drill My Home Safe to the Wall or the Floor? There are different options with each home safe for installation, regarding whether you have the capability to install it to the wall and/or floor. If there are not pre drilled holes in the bottom of your safe, you should not create them yourself. Drilling holes into the safe compromises their security and is almost always a violation of your insurance policy. Instead, you should choose a safe designed for floor installation if that is your preference. Also consider the type of home you have, to determine whether floor installation is possible and what installation types best for you. Are There Other Options Besides Drilling? Chemical Installation is a method that binds a home safe to a surface using industrial strength adhesive. This method is recommended if you wish to attach a home safe to a heated floor that cannot be drilled through. This option should be double checked with your insurance provider, because some policies require the safe to be attached through drilling and will not uphold the policy if chemical installation is used. Again, you should check with your provider to determine which installation method is best for you. 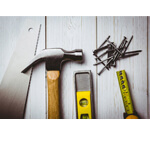 How Do I Find a Professional Home Safe Installer? Many home safes come with the option to order installation along with delivery or at least recommend installers within your area. Home safe installation is a vital part of home security so there tend to be local installers everywhere. Another great way to locate an installer would be through your insurance provider. Your policy may require installation from a professional and will therefore include suggestions for reputable companies whose services they allow on your specific policy. Checking with your insurance provider is a good starting point for every step along the home safe installation process. It is always better to be safe, rather than sorry, so you should double check your policy and home safe instructions before making any decisions. Growing up, we always had a safe in my home to keep important files and passports, etc. I want to install one in my home now, but I think I’ll have to hire an installation service to do it. Honestly I don’t trust myself with power tools. Plus, I think I could get a better home safe if a professional company installs it for me. Great article! I didn’t know that you could install your own home safe in the house. From what I have seen, you don’t have the safe hidden anywhere. The safe is actually just sitting out. There are some safes that are smaller that could be concealed.